Ice cream season is getting close!! 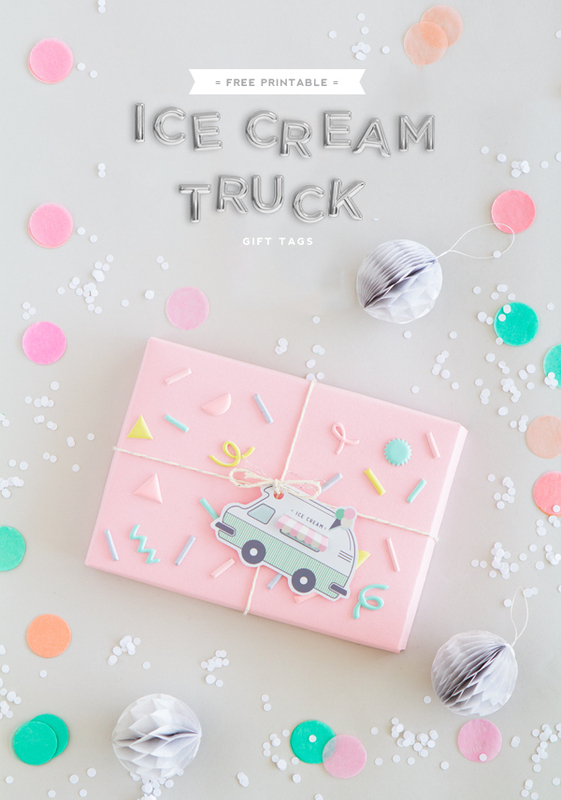 In anticipation, I designed this cute printable ice cream truck gift tag which includes a little interactive feature where you can lift the awning to reveal the recipient’s name. 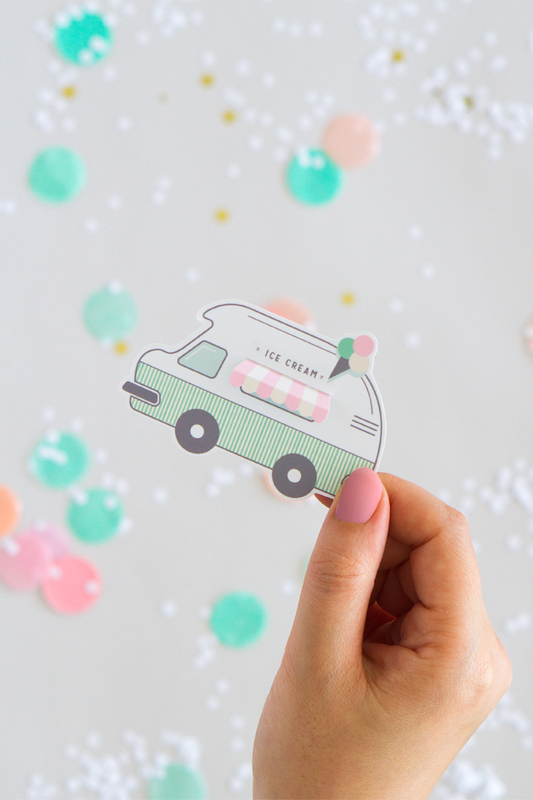 Use them to top your gifts or as little favors to attach to your cutlery or atop your place-setting at an ice cream themed party! Simply download the PDF. Open in Adobe Reader. Print onto thick glossy photo paper. 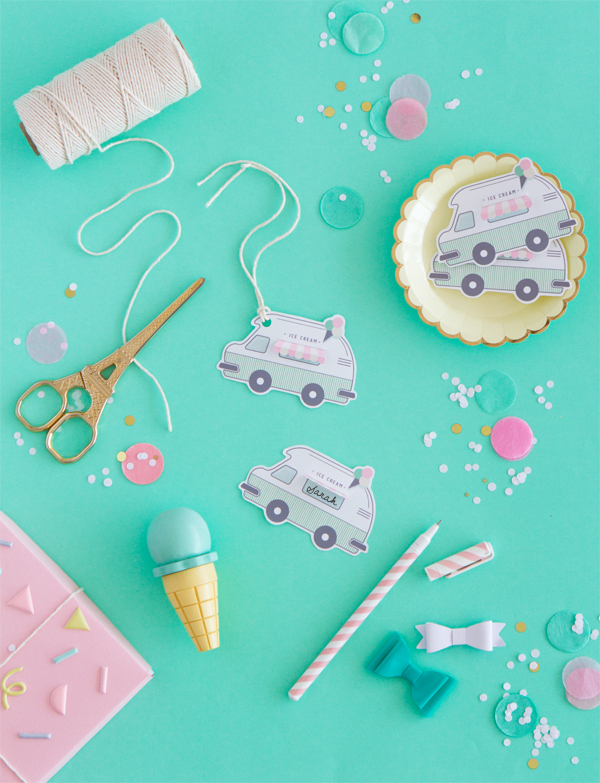 Cut out the truck with scissors (leave a white border around the edges). Score the awning along the fold lines and then cut out. Cut a horizontal slit (indicated by a thin grey line) above the window and slip in your awning. Tape to the back of the tag. Fold awning along the scores. Finally write the name of the recipient in the window, under the awning! 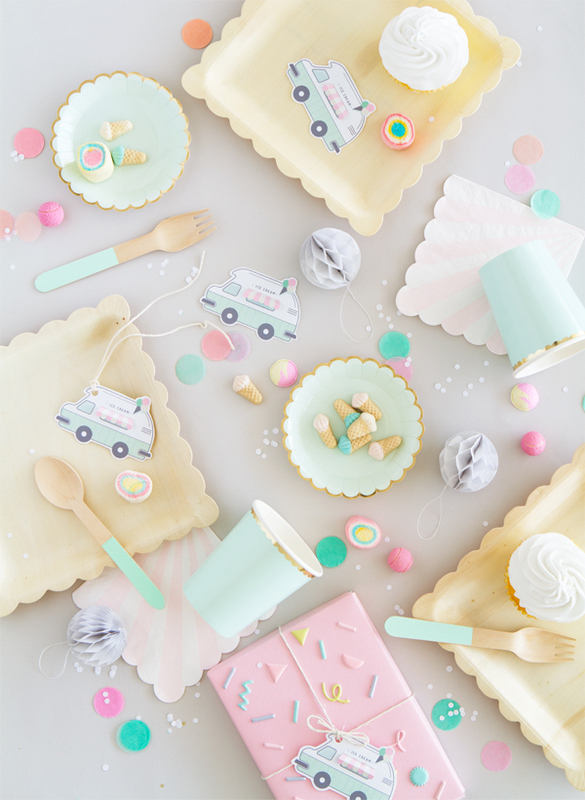 This is super cute, I love the pastel colours! I don’t think you understand the level of cuteness here! I squealed when I opened your blog!!! 😀 Thank you so much!!! Thank you so much! That is adorable!!! These are beyond adorable!! Love them! Muchas gracias por su aportación gratuita, es una bendición para mí ya que no dispongo de los medios técnicos, ni conocimiento para hacer dibujos tan bonitos. Ah! Throwing an ice cream sprinkle (baby sprinkle) on Monday night so this is perfect!! So cute, thank you! I’m going to use these tags on the ice cream pens I found on Amazon. 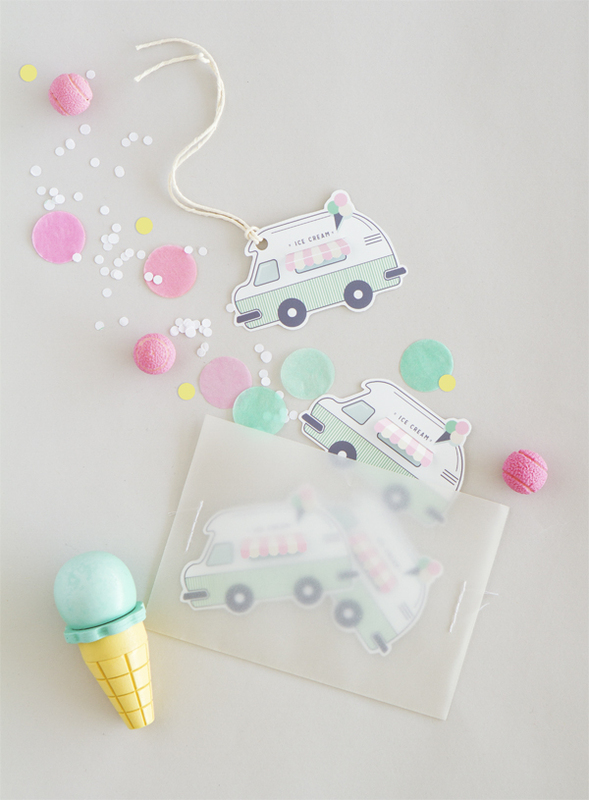 Thank you for the cute Ice Cream truck tag! love it!